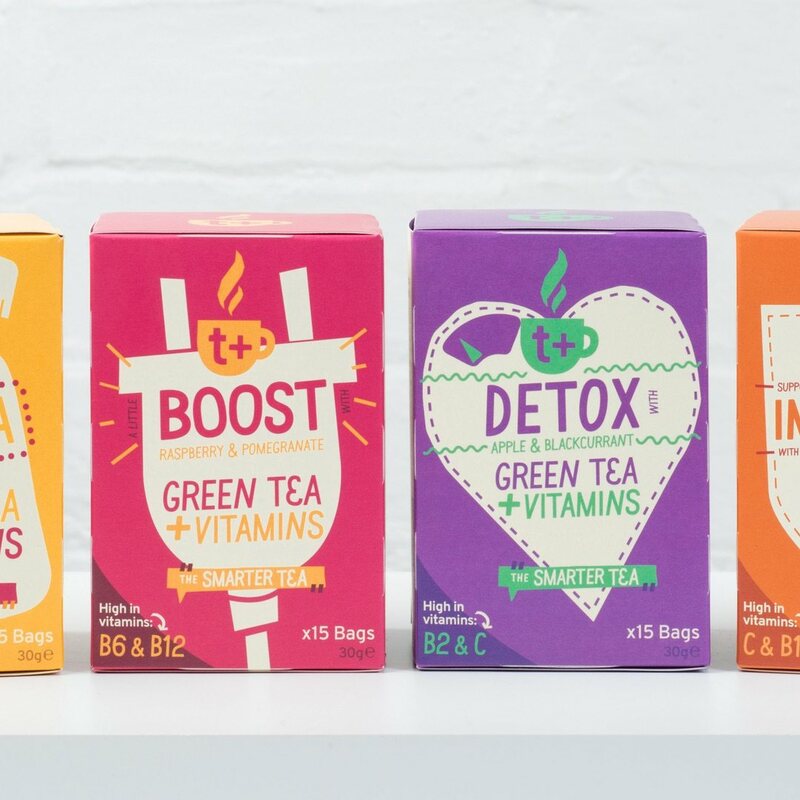 t + vitamin super teas are an industry first range of functional teas made by blending functional herbs, green tea, natural fruit flavours and 50% RDA in 9 daily essential vitamins ( including vitamins B6, B12, folic acid and C ) in every single clever little teabag! T + Detox: t + detox is a cleansing blend of herbs, green tea, fruit and 50% RDA in 9 daily essential vitamins per clever little tea bag. 9 We blend together functional herbs milk thistle, dandelion root and ginger root used for centuries for internal cleansing, along with antioxidant packed green tea and 50% RDA in vitamins B2 and vitamins C ( vitamins that can help protect cells from oxidative stress ). We then finish this blend off with a delicious natural apple & blackcurrant flavours to create the perfect cleansing super tea! 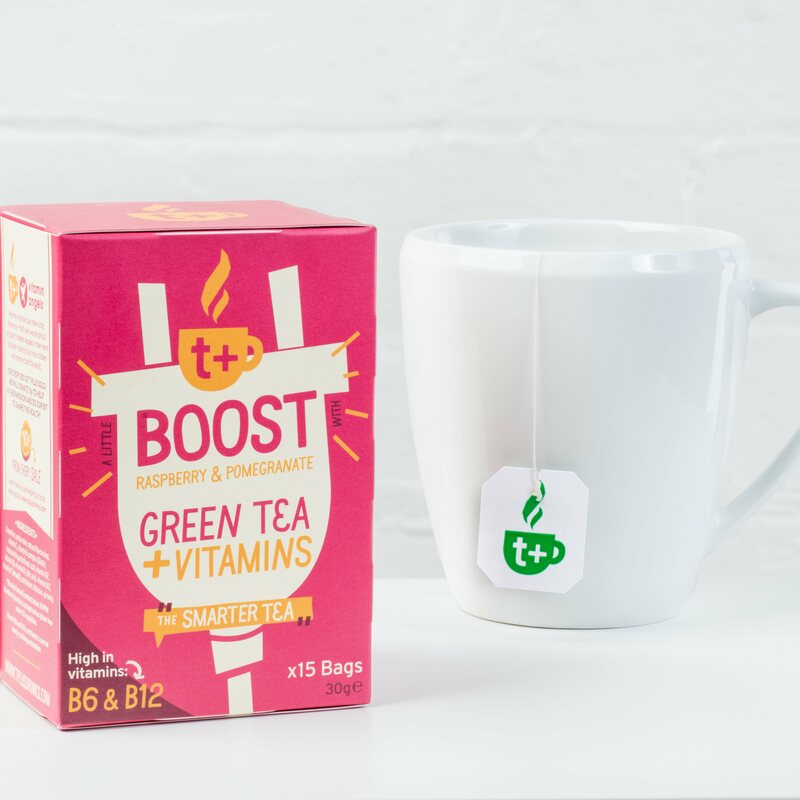 T + Boost: t + boost is an energising blend of functional herbs, green tea, fruit & 50% RDA in 9 daily essential vitamins per clever little tea bag. 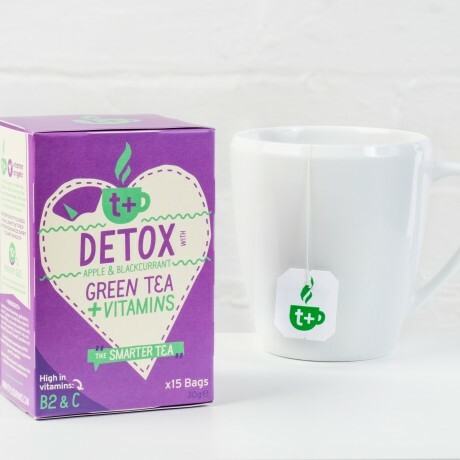 We blend together energising super herbs yerba mate and ginseng with antioxidant packed green tea and 50% RDA in energy releasing B vitamins ( vitamins that support normal energy yielding metabolism and the reduction of tiredness and fatigue ). 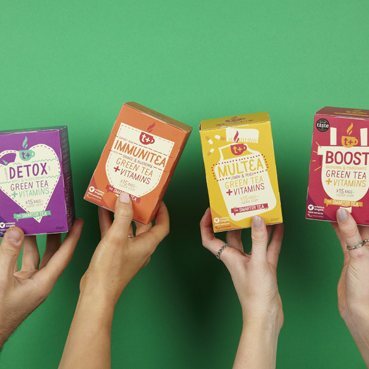 We then finish this blend off with an invigorating blend of natural raspberry & pomegranate flavours to create the perfect energising super tea! T + Immuniea :t + immunity is an immune system boosting blend of functional herbs, green tea, fruit and 50% RDA in 9 daily essential vitamins. 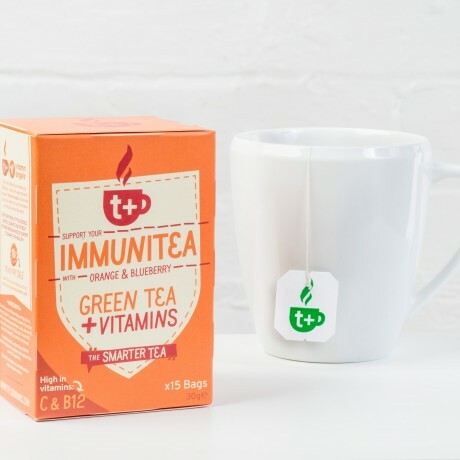 We blend together natural immune boosting herbs echinacea and ginseng along with antioxidant packed green tea to help keep your cells in top shape. We add to this 50% RDA in vitamins C ( vitamin C contributes to the normal function of the immune system ). We then finish this blend off with a refreshing blend of natural orange & blueberry flavours to create the perfect immune boosting super tea! 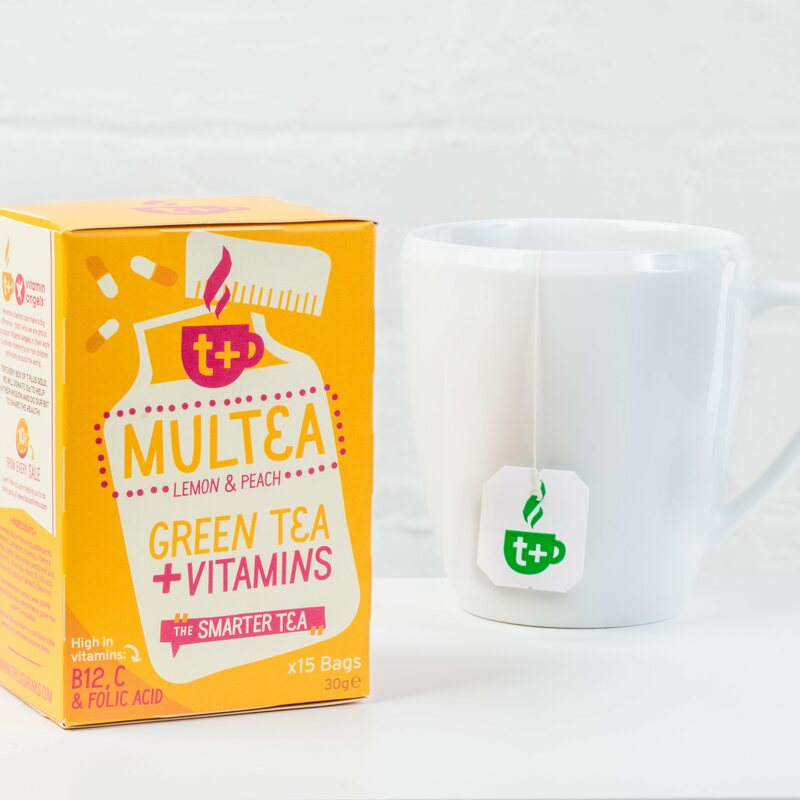 T + Multea: t + multea is an all round nutrient dense blend of powerful botanicals, green tea, fruit and high in 9 daily essential vitamins. We've designed t + multea to be the perfect daily cup of super tea. We blend multi beneficial herbs - rosemary, cardamom, spearmint with green tea and 50% RDA in 9 daily essential vitamins ( including B12, folic acid, B6 and C ) to ensure you have the perfect daily cuppa. 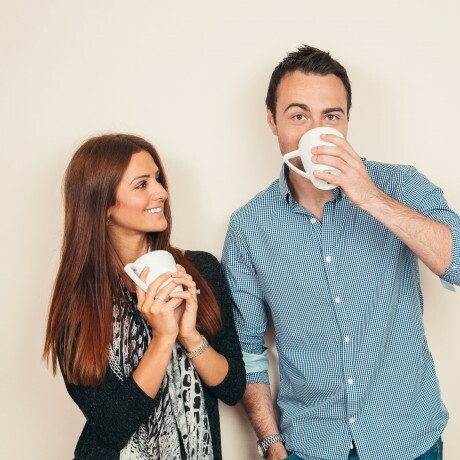 We finish off this blend with natural lemon & peach fruit flavours to create a refreshing, invigorating super tea. The variety pack includes 1 box of each blend. Each box contains 15 individually wrapped dual chamber tea bags.